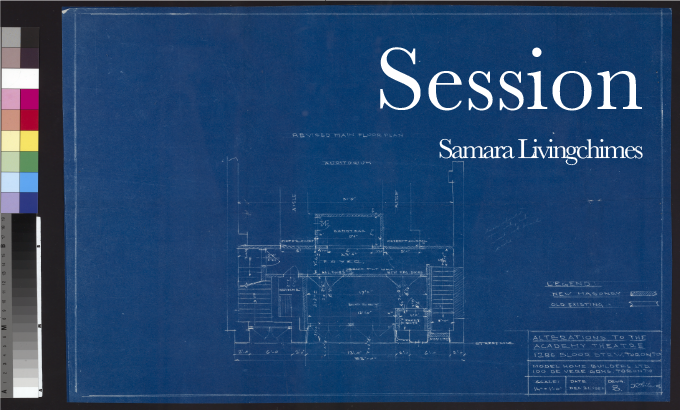 EMILIA-AMALIA | in residence invites Therapeutic Sound Practitioner Samara Livingchimes to lead a meditative sound bath for a small group of participants in the spirit of Pauline Oliveros’ principle of deep listening. Samara Livingchimes is a Registered Massage Therapist, Therapeutic Sound Practitioner, and Gestalt Therapist-in-Training. Her bodywork sessions utilize sound interaction and gentle hands-on techniques to promote deep relaxation responses, heighten somatic awareness, and help modulate pain related to stress, anxiety, depression and sleep disorders. She has obtained certification as a HealthRhythms® Group Empowerment Drumming Facilitator at the Institute for Music and Neurologic Function in New York City and has additional training as a Sound Meditation Facilitator.